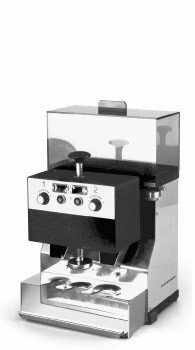 The drive towards innovation allowed FIORENZATO to manufacture state-of-the-art products and solutions for all grinding needs in the bar sector. A good example is the revolutionary Inverter system, with its exclusive company patent, which transfers technology for industrial grinders to ones for bars: the system, made compact to avoid increasing the size of the coffee grinder, ensures absolute precision and consistency for grinding, reducing motor consumption, operating noiselessly and showing exceptional reliability even when in operation for a long time. The easy use and maintenance of our grinder-dosers is well acknowledged. A good example is that the dispensing tube can be extracted to make cleaning operations easier. Coffee dispensing is simple even in poorly lit places: the beam of light emitted from the grinder-doser lights up the area below, allowing the filter holder to be positioned correctly. Our company’s vocation is to be ahead of the times and the first to offer solutions to meet market needs. We have achieved this also by creating the brand electronic XG and XGR coffee grinder-dosers, the first in the world to use patented technology to adjust grinding in GRAMS, not in seconds like all other cofee grinder-dosers. In addition, with the integrated RFID system, filter holder cups are automatically recognised. 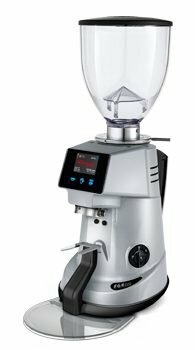 Today we’re proud to announce: now the technology is dedicated to precision in the new XGi “smart” electronic coffee grinders: the dose of coffee becomes a fixed constant that does not change over time! 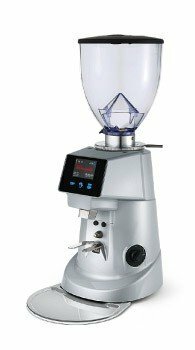 Thanks to the innovative patent of the XGi coffee grinder, the quantity of coffee dispensed, calculated in grams and set only once, will not change, guaranteeing precise doses and avoiding any waste. An automation system system designed by professionals: this is the decisive turning point for the sector. With this absolutely innovative model, FIORENZATO is ahead of the times, offering the right solutions for the contemporary needs of its customers. 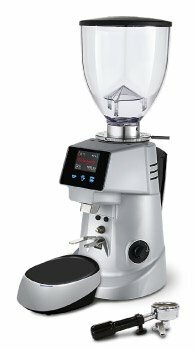 Back in the early 1980s, Fiorenzato launched the first single-dose coffee grinder-doser. At the time, electronics were not yet developed but this coffee grinder, produced with two motors, one for a single dose and the other for a double dose, was entirely electro-mechanical with manual timers. The first coffee grinder that introduced the CAPSENSE system was a huge success. It was completely digital with a display that could be customised, internal calendar functions, automatic monitoring of the wear of grinders, and the statistical display of daily – weekly – life cycle consumption. Our vocation is to be ahead of the times and the first to offer solutions to meet market needs. 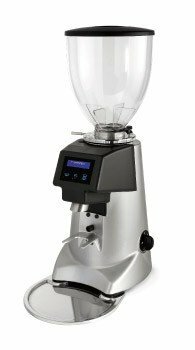 Production November 2017: Thanks to the innovative patent of the XGi coffee grinder, the quantity of coffee dispensed, calculated in grams and set ONLY ONCE, will not change, guaranteeing precise doses and avoiding any waste.